Contents. List of Contributors. Preface (P.M. Wassarman). 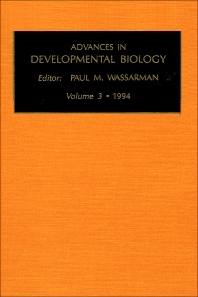 Mechanisms of Neurogenesis in Drosophila Melanogaster (J.A. Campos-Ortega). The Role of Growth Factors in Mammalian Pregastrulation Development (D.A. Rappolee and Z. Werb). Retinoid Signaling in Mouse Embryos (E. Linney and A.S. LaMantia). RNA Localization During Oogenesis in Drosophila (E.R. Gavis and R. Lehmann). Actin as a Tissue-Specific Marker in Studies of Ascidian Development and Evolution (W.R. Jeffrey). Index.